Are you looking for best sports WordPress themes to build a professional website for a sports club? And you’re wondering how to choose the right interface? Do not worry, you are in the right place! In this article we will show you 6 best WordPress themes that will help you build a professional and dynamic sports website. Take a look at some of best sports WordPress themes that you can try on your site! One of best sports WordPress themes that you should not ignore is LT Golf WordPress theme. This is an amazing theme builds with Genesis Framework, shopping cart support by WooCommerce. The theme comes with many excellent features such as the back panel interface, fully responsive, easy to setup, etc. Moreover, with 4 color schemes, you can easily create gorgeous websites with various layouts. However, you can change to your favorite color with ease via via Theme Settings. This is an ideal choice for golf club website. Start now! Introducing WS Tennis – Responsive Tennis WooCommerce WordPress theme which would be a perfect choice for those who are going to build a tennis academy or tennis club website. WS Tennis comes with many wonderful features such as search bars and drop-down menus, it’s fully responsive so your website will work well on all modern mobile devices, 4 presets defined that will help you create a gorgeous website with various layouts and more. In addition, the WordPress theme builds with Genesis Framework, shopping cart support by WooCommerce. 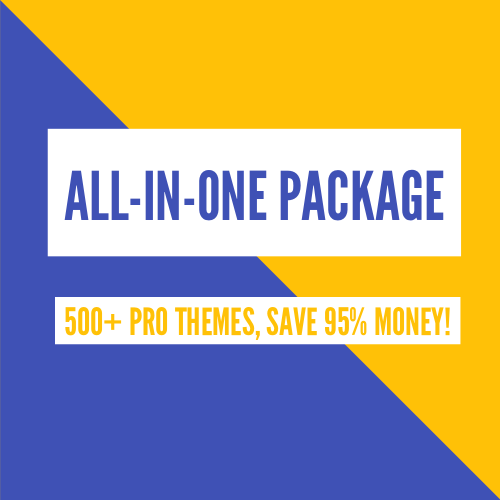 Get this theme and build a wonderful tennis academy or tennis club website today! 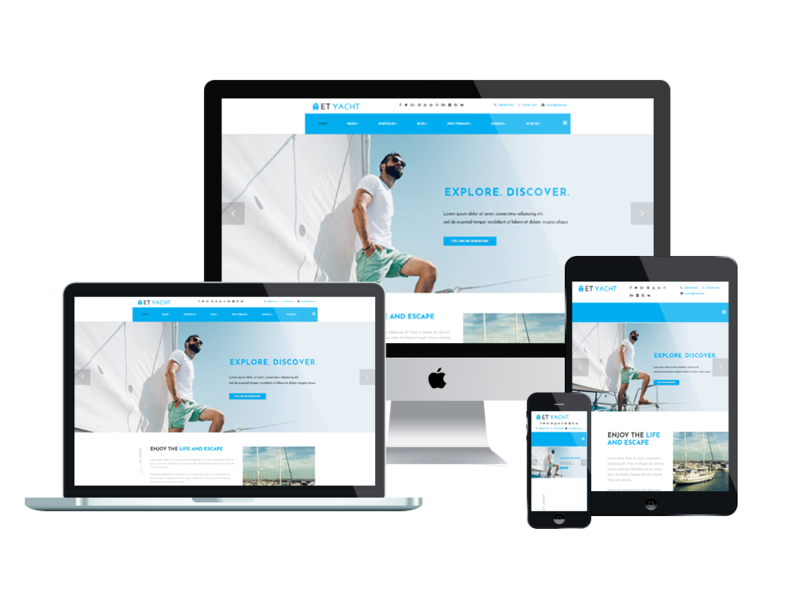 Say hello to ET Yacht – also one of best sports WordPress Themes which is ideal for yachting agency, yachting magazine or yacht club website. The WordPress theme builds with Genesis Framework, shopping cart support by WooCommerce. Moreover, it’s fully responsive so your visitors can see all the content of your website on their modern devices. It also comes with 4 layout color styles, that allows you to build a wonderful website with various layouts. In addition, ET Yacht also has many excellent features such as Clean and Minimal Style, Font Awesome 4.3 ( over 510+ Icons) also for menu items, MegaMenu Generator, Article Post Formats, Off-Canvas Menu & MegaMenu and more. Check it out! Friends! What do you think about LT Swim WordPress Theme? This is an amazing solution for building swimming school website. It builds with Genesis Framework, shopping cart support by WooCommerce and many other excellent features such as fully responsive, Off-Canvas Menu & MegaMenu, Article Post Formats, Custom CSS/JS Code fields, Optional Fixed (sticky) Header and many more. The theme has 4 Default Color Styles, you can easily create excellent websites with various layouts, however, if you like another color, you can easily change it via Theme Settings. This theme will help you create a professional and impressive swimming website! 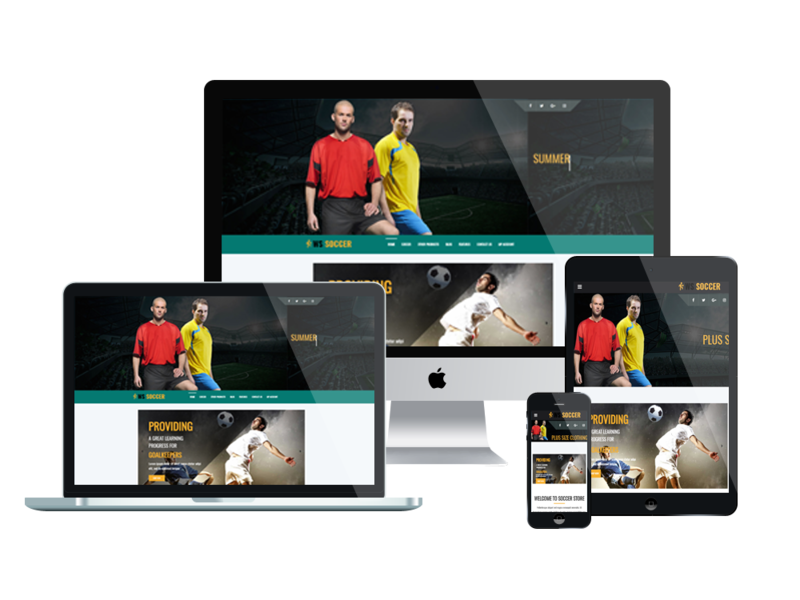 WS Soccer is a gorgeous WooCommerce WordPress themes from Wooskins, it’s perfect for kinds of sports websites, sports clubs, or even sports stores. WS Soccer WordPress theme built from powerful Genesis framework, and shopping cart support by WooCommerce. It’s 100% responsive layout, so it work well on all modern mobile devices, the visitors can observe the contents of your site on their phones. Get this them and use it to give your website a dynamic, strong look and feel. If you’re looking for best sports WordPress to build an impressive and creative tennis supply store or tennis academy website, then you’re in the right place! ET Tennis is a wonderful WordPress theme which builds with Genesis Framework, shopping cart support by WooCommerce. It also supports 4 color styles that allow you to create an amazing website with various layouts. Moreover, it has many useful features that will help you build a wonderful website such as Optional Fixed (sticky) Header, Cross-Browser Support, MegaMenu Generator, Article Post Formats and many more. Hopefully, with these best sports WordPress themes, you will find the most suitable theme for your needs. If you have any question about this post, don’t hesitate to leave a comment below. And don’t forget to share with your friends if you find it useful! Thanks!